If you don’t have a lot of experience with telescopes one of your biggest issues can be with setting up the mechanism in the first place! Well, this is will not be a problem with Astromaster 114 since as you can put it together quickly and easily, largely due to the lightweight nature of the telescope. At the same time, you can be assured that it is very sturdy, perfect for an uninterrupted look at the stars. Furthermore, what’s nice about this telescope is that although, technically, it is an entry-level option, it still has lots of value-added features. For instance, it is quite versatile as with it, you will be equally capable of gazing up at the stars as well as faraway objects on land. The telescope also comes with a 10mm and 20mm which allows you to get the magnification level that you desire. The 10mm is excellent for zooming in on specific details if you want to take a closer look. The 20mm, on the other hand, is ideal for peering into the distance during the daytime. The only point of contention with this telescope is the star finder which isn’t always so reliable. So, as a newbie, you might find a bit difficult to focus on the part of the sky that you want. Few people have the space – or the patience – to set up a large, clunky telescope. The good news is that with this telescope, you will not need to. It is a tabletop model which means that you can set it up practically anywhere. This doesn’t mean that the telescope is any less powerful for this feature, however. On the contrary, this telescope boasts a 100mm parabolic mirror with a 400mm focal length and two Plossl eyepieces. 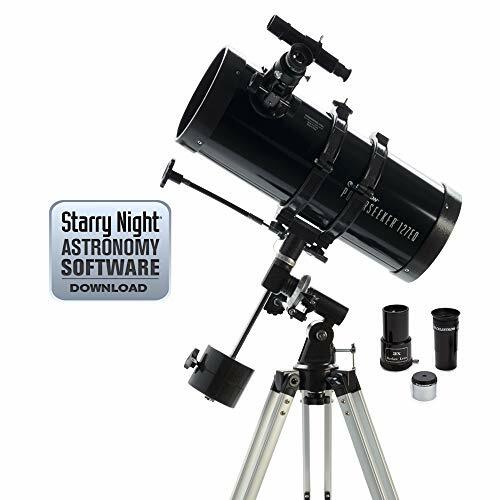 Simply put, with this telescope and specifications, you can see a variety of celestial bodies. This includes the moon, Jupiter, and even the rings of Saturn. If you are lucky, and depending on when and where you train it, you could even get a glimpse of Mars, the Andromeda Nebula, and the Orion Nebula. Considering the price point of this, it is quite amazing the clarity and magnification that you get to experience. This is the perfect way to get any budding astronomer absolutely hooked on this field. The thing to remember is that at the end of the day, it is still a budget telescope. So, while it does perform admirably, there are several elements, like the eyepieces that are quite cheaply made. As such, it is anyone’s guess how long it will last. Although the Gskyer is a telescope that is more suited for novices, it still provides you with everything you may need for an excellent viewing experience. It comes with three different eyepieces – 5mm, 10mm, 25mm. unfortunately, while the 5mm magnification sounds like a dream, it really doesn’t provide you with the results that you would hope for. So, you will be disappointed by the lack of clear and proper magnification here. The good news is that the 25mm and the 10mm performed as expected so there is some solace. Interestingly enough, it is the 3x Barlow lens that really shines here. When used with the 10mm, in particular, you get to magnify any image that you are already focusing on. 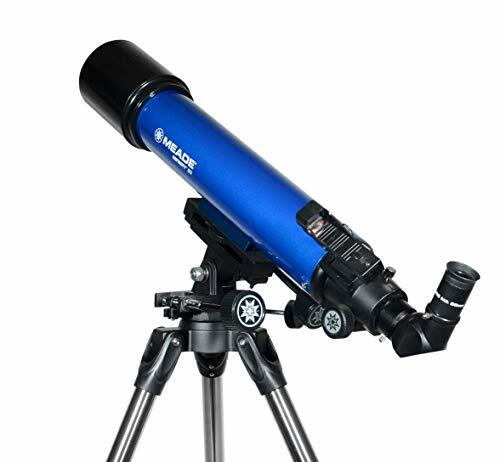 In short, with the eyepieces provided with this telescope, you will be able to see clear details on the moon and even catch a glimpse of Jupiter and its moons. The finder scope on the telescope does its job quite well and novices, in particular, will find it easier to track stars and planets with this. The scope is quite easy to get started with and also happens to be quite light. So, it sits really well on the tripod and doesn’t budge an inch. While the actual setup of this telescope is remarkably easy, you will find getting started with it a bit trickier. This is due to the collimation process which involves aligning your telescope. Now, this is to be expected with most Newtonian telescopes but can still be a bit of a pain to contend with nonetheless. Once you have gotten it just right, though, you will see just how much value this budget telescope offers you. The unfortunate thing, though, is that the 4mm eyepiece provided with the scope doesn’t live up to the hype. It is virtually impossible to see anything with it. On a positive note, the 20mm more than makes up for this. With it, you will be able to see the moon in exquisite detail. The rings of Saturn, as well as Jupiter and its moon, will also make an appearance once you train the scope properly. Another benefit with this telescope is that it provides you with images that are oriented correctly – this means that they can be seen the right way up. Thanks to this feature, you will be able to look at features on earth as well as the sky equally well. The first thing to note about this Meade telescope is that it works best for children or novices. This is largely to do with the 90mm aperture which is less than some of the other similarly budgeted telescopes. 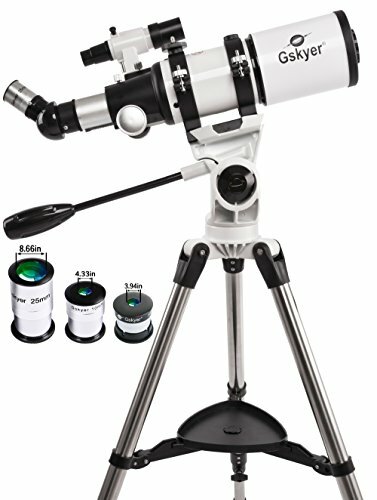 That being said, this is a telescope that works incredibly well for the price that you have paid for. 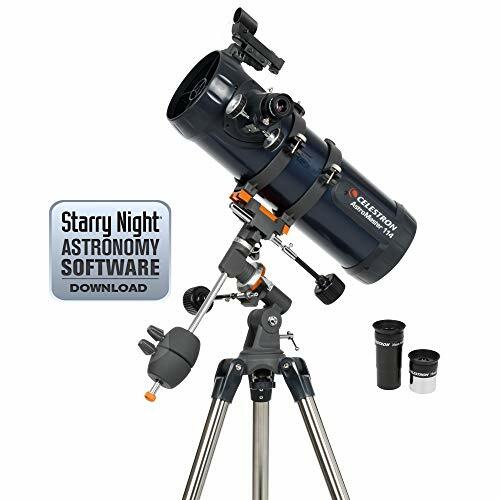 Now, it is not difficult to find telescopes that are easy to setup, however, what makes this scope stand out is that it is easy to adjust to the point that you want. Also, the fine tuning knobs included with the scope means that tracking while looking at the sky is a lot easier. Surprisingly enough, the eyepieces on this scope are quite good. Even the lowest one offers up a decent magnification of the sky. If you choose to go a little higher, you will find that the moon and Jupiter are easily viewed. What places this telescope even higher in my opinion is that it is great for daytime viewing and nighttime viewing. Due to the way that the images can be seen, you can take a peek at a distance on the horizon on earth or glance up at the stars with just as much ease. The first thing to consider with any telescope is the aperture – this is the diameter of the lens or mirror that gathers light. Now, the larger the aperture the farther away you will be able to clearly see celestial bodies. However, telescopes with larger apertures aren’t just more expensive, they are also a great deal larger as well. Typically, you will find that anything above 70mm is good for a starter telescope. This is good news considering that most budget options offer no more than a 100mm aperture. Since you want to keep the best of your budget, you can choose between two types of telescopes. This is the refracting telescope and the reflecting telescope. 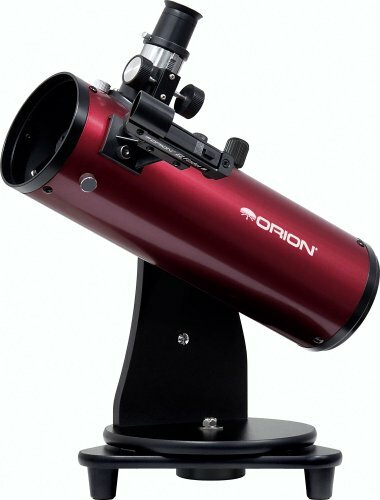 The benefit with refractor telescopes is that they are easy to use and are great for viewing stars, planets, and the moon. They also require very little maintenance. Unfortunately, they tend to have smaller apertures which can reduce clarity. Reflecting telescopes, on the other hand, are a bit more high maintenance. Despite this, they have larger apertures which means that you are more likely to see far away and faint details like galaxies and nebulas. Now, it may seem obvious to take magnification into consideration when looking for telescopes. Believe it or not, though, this isn’t as vital as a factor as you might think. This is because you can simply improve the magnification of any telescope by using a better eyepiece. Instead, it is best to focus on aperture when telescope shopping. So there you have it, a list of the best telescopes and how to go about finding the right one for you.